Nie Tej and No Ni Ma are part of our best-selling games series which main idea is to introduce local Polish diversity – including local cousin, places and most of all dialects – to as many people as possible. 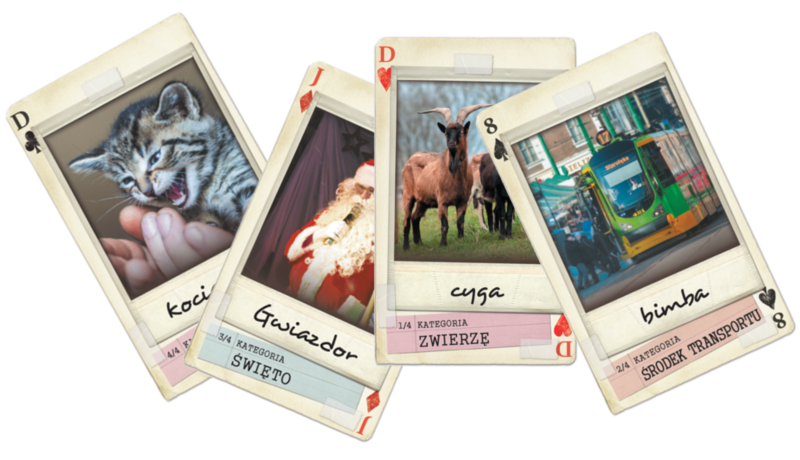 These simple party games are both: great fun card games and equally great way to learn a lot about local culture and dialects from important regions in Poland. During the game players try to gather four cards of the same category at their hand. To do that, players need to be smart and have to remember who's got the cards they need to gather. Only by naming right cards in right hands, they'll be able to fulfill the goal of the game. But remember, every mistake can cost you a lot! great, simple party games for everyone! Easy to learn mechanics, that can be adapted to many different themes: language teaching, tourism etc.